Switching to a new operating system in Apple can be done either through an upgrade or with the help of a clean install method. In this article, you’ll find detailed step-by-step instructions to clean installation of Sierra MacOS on your device. The main principles of clean install known to Apple users from the previous OS’s work in the new MacOS as well. First of all, we should say that clean install is an operation that rather works best for experienced users. A clean install is a process of wiping Mac’s hard disk drive and giving a fresh start to the system with a clean installation of an OS. After the process is finished, a backup of all important data (should be done before the clean install starts) is transferred back manually, and personal information is restored on a device. 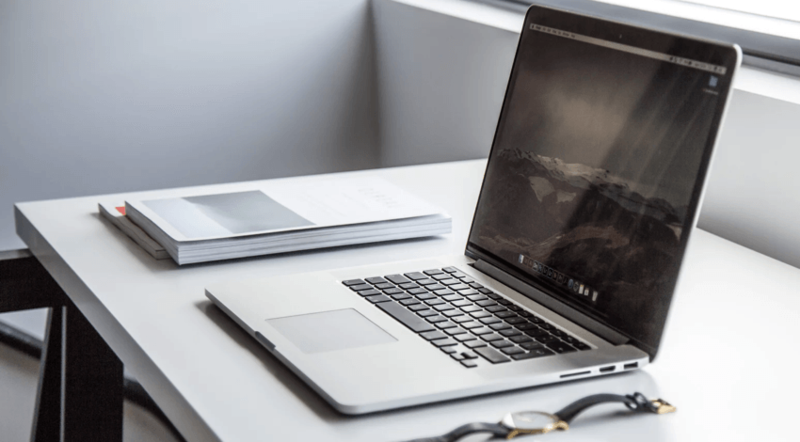 The reasons for performing a clean install may be different, including the need to launch the whole system anew or using it as a method of troubleshooting in the case with extreme problems in work of a Mac. Restoring personal data with manual transferring of files back onto a device. However, we recommend performing a clean installation of macOS Sierra only to advanced users, considering the complicacy of this process. The best option for the majority of users will be upgrading to macOS Sierra using the method of standard installation and updating from the App Store. A manually performed backup of your data. Remember! A clean install will eliminate ALL data on your Mac, and after it installs macOS Sierra; there will be nothing else left on your device. This is the point of the whole process. That’s why it is so important to backup your data (with the help of specialized software or manually) before you start the process. You shouldn’t proceed if you aren’t sure that you can perform the backup and all of the following steps correctly. For starters, perform a backup of all important data to Time Machine. It is recommended to have not only a manual backup of your personal data (from which you’ll restore it after the install of macOS Sierra is completed) but also an additional Time Machine backup. Don’t forget to use a Sierra cache cleaner app before having your data backed up – you don’t want to keep the excess media clutter after the fresh start with the clean install. Connect the boot install drive for macOS Sierra to your device. Next, your computer will start rebooting. Remember to press the Option key once you hear the chime of the boot, and keep holding it down till the booting process ends. After, the ”macOS Utilities” bar should load on your screen. Select “Disk Utility” from the list of available options. In the left-side menu, click on “Macintosh HD” (or the other name of a Mac drive which you would like to format to next clean install macOS Sierra on it). After, click the button “Erase” at the top bar. In the menu that opens, keep the drive’s name “Macintosh HD” (you can change it if needed, too). In the next bar “Format” choose the option “MacOS Extended (Journaled).” Finally, click the button “Erase.” After that, all data on Mac drive will be totally erased! The process can’t be reversed! Once the formatting process is finished, quit the Disk Utility menu, and go back to Utilities screen on macOS. Click the “Continue” button, accept the terms, next in the drive list choose “Macintosh HD” (or the name of the other Mac drive you targeted) and click “Install” button. Now, wait for macOS Sierra to get installed on your Mac. Once the Installation of macOS Sierra is completed, it will boot into a newly installed operating system. You will be automatically taken to macOS setup process so that you can fine-tune all user preferences. After all is done, your Mac will be like a clean slate with only a new macOS Sierra on it. There won’t be any apps, files or folders. The screen will remind a brand new Mac. Finally, with the desktop of macOS 10.12 opened, you can copy all your personal data manually back on your Mac, and enjoy a brand new start on your device.